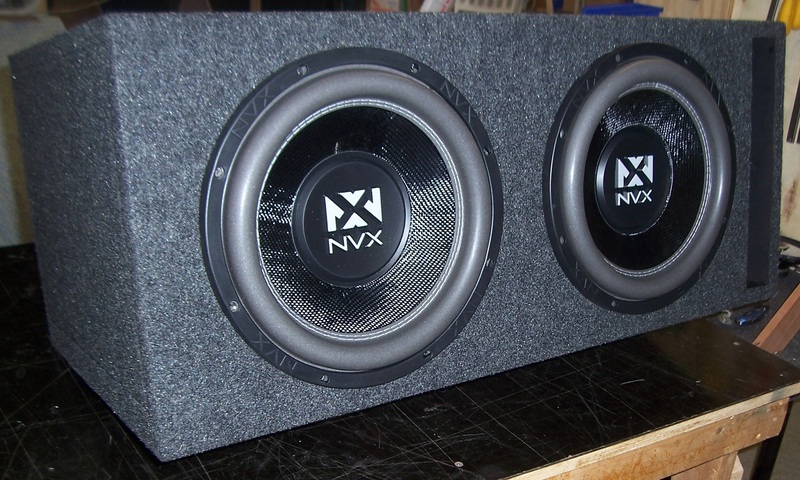 Brand new NVX Audio VSW124, 12", 500w RMS, 4ohm DVC subs mounted in a hand crafted North East Bass Factory DPVSW124 enclosure. Enclosure is built to the subwoofer specs. Limited Life Time replacement warranty on the enclosure!